Welcome to the world of childcare...have you started working at a centre yet? How are you finding it? Or are you thinking of starting a career in childcare? Here is basically an outline of the list of duties you are expected to do while you are working at a childcare centre. 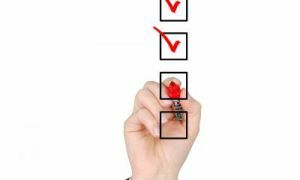 Now remember, this is a very general outline and doesn't cover your centers policies & procedures and basic “centre duties” that you will also need to cover as part of your carer duties. The child care duties are normally given based on your level of qualification. The higher your qualification the more duties and responsibilities (endless paperwork) you have. If you are just starting in the childcare industry, your duties will obviously be different as you are still learning the ropes. As a childcare worker you assist and supervise in the high quality care for the children at your centre. You will also be in direct contact with families in providing for the welfare and within the best interest of the individual child. As a childcare worker you will also contribute to the development and implementation of the child care program and work under the general direction of the supervisor who is present at your centre. What are your Duties / Responsibilities as a Childcare Worker? Work with staff members to ensure the smooth operation of the day to day running of the centre in accordance to your centre's policies and procedures (which you must be familiar with). Contribute to and assist in the development and/or evaluation of the programme (it doesn't matter what qualification you have, it's important for all staff to share their thoughts and ideas on the programme). Assist staff in the daily routine of appropriate early childhood education and experiences. Supervise and engage in the activities of a group of children during the day that you are responsible for. Positively interact with all children, nurturing their confidence and self esteem giving each child individual attention and comfort throughout the day. Assist in planning for the ongoing development of each individual child (this also includes maintaining up to date observations and portfolios for the child). Assist in the recording of children's development (depending on your centre's policies, this can include developmental checklists). Assist in implementing a consistent daily routine for the children (the routine does provide structure and guidance for the children during the day). Participate in supervising indoor/outdoor environments to provide safety for the children at all times. Ensure a clean and healthy environment for all children (this requires you to do everyday cleaning as part of your duties). Communicate with parents as delegated by the room supervisor or Director (talk to the parents about what their child has done throughout the day). Perform incidental administrative duties (filling out accident/incident reports when necessary). Attend to incidental cleaning and housekeeping associated with the individual and group activities, experiences and routines (this almost seems as what you spend most of the day doing, although it is a big part of occupational, health and safety). As requested attend parent/staff meetings (staff meetings are held once a month at your childcare centre, usually after work hours. Parent meetings are held twice a year, depending on your centre). As required carry out other duties that are within the knowledge, skills and capabilities of you as the worker. Now that's a lot of responsibilities that we are handling on a day to day basis but remember this is only a basic outline. As I earlier mentioned your duties and responsibilities are also based on your qualification. If you are working with a certificate 3 in child care, your responsibilities regarding paperwork (such as observations, programming and planning) will be far less than those with the qualification as a childcare diploma or higher. If you are working as certificate 3 you will be asked for your input on programming as well as assist in the observations and maintaining records for the children. However you will not be held responsible for it, that's what the diploma qualified worker is for. Dress appropriately – if your centre provides you with a uniform then lucky you! However if not please dress appropriately. Causal jeans/ track pants and a loose fitting top is the most comfortable to wear. You are working with children which also involves messy activities, painting and playing in sand. Leave your good clothes at home. You can still look good in casual clothing. Chit chatter after work – women mostly work in childcare (we definitely need more men to balance it out) and as women we tend to chat a lot. In childcare throughout the day, there is no time for chit chatter. I am not saying don't speak to any of your staff members but when you are looking after children please don't talk about what you did on the weekend...talk to the children. Bad language out – this is such a common mistake that all childcare workers do on occasions especially when we are having a very bad day. It is so important not to swear or say “bad words” in front of the children. If you accidently swear, just try another word, quickly over the top, like sugar or shoe and don’t make it into a big deal. Don't take criticism personally – when we get criticized at work, sometimes we take it personally or hold grudges against others. Well it's time to stop that. We should take criticism with open minds and suggestions. If you are doing something wrong wouldn't you want to know about it rather than continuing to do it wrong? When we are working in a team environment we should be open to all thoughts, ideas and suggestions. Put on a happy face – if you had a fight with your parents or your boyfriend and you are angry, don't come to work and take it out on the kids. Try and leave your home life at home, even if you have to “put on a happy face”. Children can sense when you are angry and they won't make it any easier for you. But I guarantee you in no time you will have a smile on your face when you see the kids faces. Be an efficient worker – there is a lot to get done during the day while working at a child care centre so it's important to be efficient. If there are toys lying all around the floor then help the children clean it up. If there is paint on the table, wipe it up. Don't ignore it until someone else does it. There is no time for sitting down, you always have to move, move, move. Efficiency is also a good personal quality to have too. Common sense – After you have worked at your centre for about two months you should have good knowledge on what you are required to do on a day to day basis. It's important to use your common sense when working with children. Even if you haven’t been told what to do you could still use common sense when handling a situation or at least let the room leader know. We shouldn’t have to be reminded of the same thing over and over again, just remember it and do it. Stay safe and healthy – as you are working in direct contact with children it's very important to stay safe and healthy while working in childcare. If you are sick, it's best to take the day off, than to go into work feeling ill. You are no good to anyone if you are sick. There is a lot of lifting and bending in childcare so it's important to take care of your back and have the correct posture and lifting technique. With a back injury, you could be off work for months in total. There is also a lot of spilling and accidents that occurs daily so remember to wipe/mop any spills so you don't trip and fall. Child care is a very demanding and sometimes stressful job which we need to stay healthy and safe for. What are your Wages as a Childcare Worker? When working in Childcare, you get paid according to the Children’s Services Award 2010, which is the new modern award. The Children’s Services Award provides the minimal hourly and weekly wage that you will receive based on a classification structure. The classification structure is set out in different levels. Each level represents what type of childcare worker you are. Whether you are a trainee, a Certificate 3 qualified or a support worker, you will fall under a one of the levels. These levels provides you with details on what hourly or weekly rate you will be expecting. However, the Children Services award only provides you with the minimum wage you are entitled to. 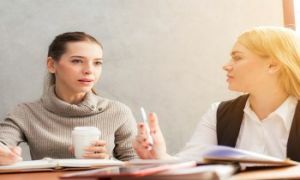 Depending on the centre, the locality, your experience, your qualification, whether you are getting paid above award wage and many more factors changes your wages. So, overall the Children’s Service Award can tell you what the minimum amount an employer can legally pay. In childcare there is an opportunity to have a career in this industry. By gaining further qualifications are developing your knowledge you could gain those higher job titles. You may be a trainee now but in the future, you could become a room leader, then a director and manage the centre, you could even run your own centre. It's not an industry to take for granted; we are being trusted by families in developing and nurturing their child. Although we as childcare workers are not recognized by our community, not only do we spend our time nurturing and developing a child to their full potential, we will always be needed by families throughout Australia. This is a basic outline of your duties and will differ with your qualification and your job title. 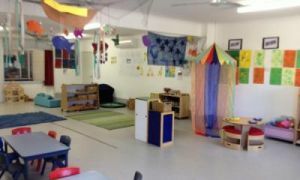 If you are not sure speak to your director about any concerns or issues or they can be discussed during your job interview at a childcare centre.